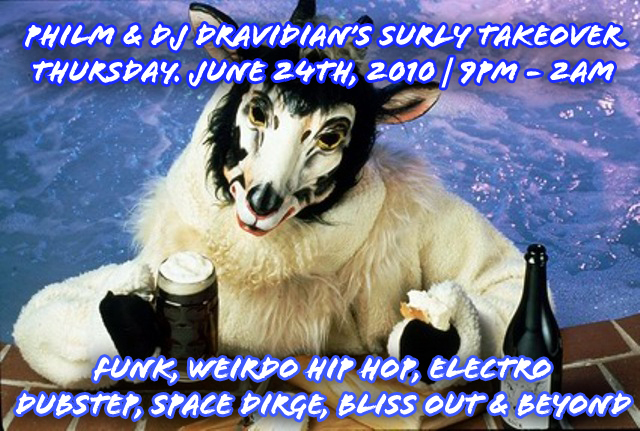 Tonight, Rawkblog contributor Phil Merkow — as his alter-ego, PHILM — will bring his mind-bending beat-matching skills to bear at West Hollywood’s best beer bar, the Surly Goat along with DJ Dravidian. (Full disclosure: I go there a lot.) Be there or be the guy not listening to the immaculately curated DJ set and drinking sweet foreign brews.